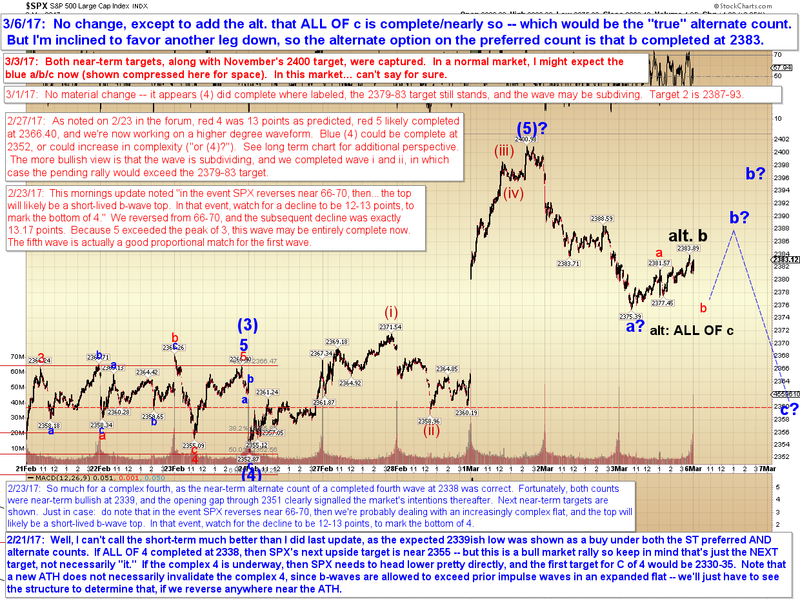 Sometimes I think of the market in similar terms, as a "wave of probabilities." In a way, that's all it can ever be. Nothing is guaranteed -- although some patterns do seem to exhibit a form of causal determinism (often, once a certain portion of a fractal forms, the market seems compelled to complete that fractal). The challenge is that the market can sometimes go for decent stretches without forming such deterministic patterns in the first place. 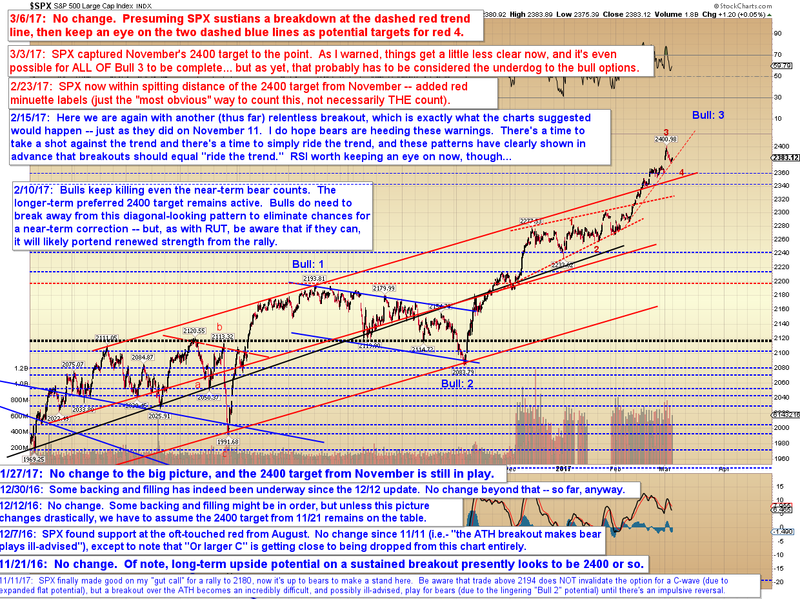 In those instances when no deterministic pattern is unfolding (at least insofar as this: even if the entire market IS causally determined, we can't always pinpoint the prior move (the "cause") -- so from a practical standpoint, we would still consider those patterns nondeterministic), which constitute the majority of market moves, then we are dealing solely with probabilities. 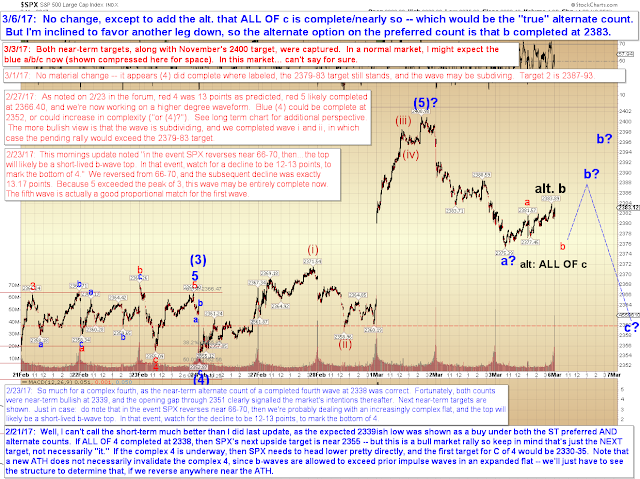 I think one of the errors folks, especially less experienced traders, sometimes make when attempting to apply Elliott Wave (and other systems) is in thinking that EVERY pattern is, or "should be," a clear manifestation of causal determinism -- so they believe they know exactly what's coming next. If one takes that view, then it leads to overtrading, over-commitment of capital, and/or frustration when things aren't clear-cut. It's always best to remember to allow for contingent possibilities, and to thus view the market more in a quantum framework than in a Newtonian framework. 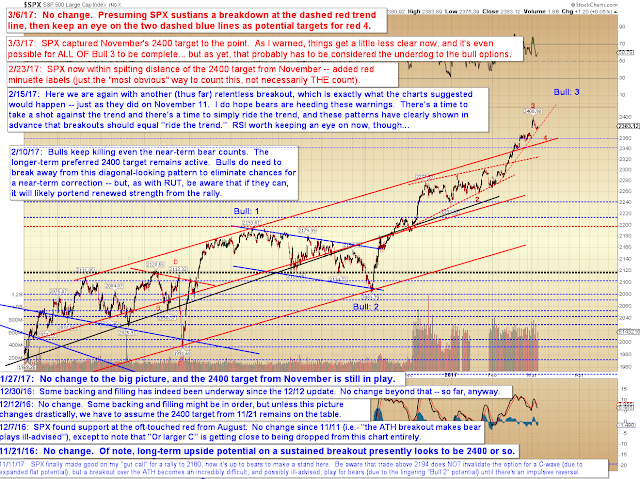 Short-term, the probabilities seem to favor at least one more leg down. Though my first inclination is that we'll follow the blue path and bounce around a bit first, it is technically possible that b completed on Friday. In conclusion, there was little movement on Friday, so there's no material change from the prior update. I'm still inclined to think we'll see another leg down, but this rally has surprised me before. Trade safe.